The small town of St. Nazianz in Wisconsin is said to be cursed by the heretic priest of the Catholic mystic cult that founded it in 1854. 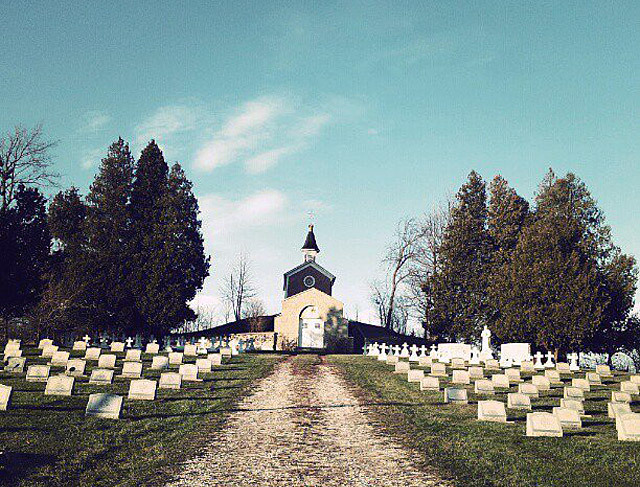 The town of St. Nazianz is believed to be one of the most haunted places in Wisconsin. It was founded by a rogue priest who, upon his death, is believed to have cursed the town he built. 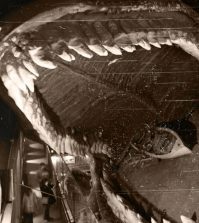 Throughout the years, natural disasters and numerous accounts of bizarre, unexplained phenomena have helped keep the legend alive. Related: Did a secret Satanic club frame Steven Avery for murder? When Oschwald left, the congregation uprooted and followed him to the US. They made their way to Wisconsin where, a 1920s newspaper article reported, a divine white heifer lead the group to the site that would become St. Nazianz. The community thrived there for many years. They called themselves “The Association,” agreeing to share everything in common and work without pay. But strange things began to happen when Oschwald fell sick in 1873. 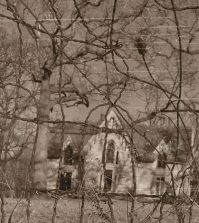 Throughout the night of February 26th, as Oschwald lay dying, there were reports of mysterious pounding on the walls of his room, as well as residences throughout the town. The sounds stopped when Oschwald died the following morning. A judge from Manitowoc came to view Oschwald’s body the day before the funeral. He was taken aback by the liveliness of the corpse, warning not to bury it because Oschwald was not dead. 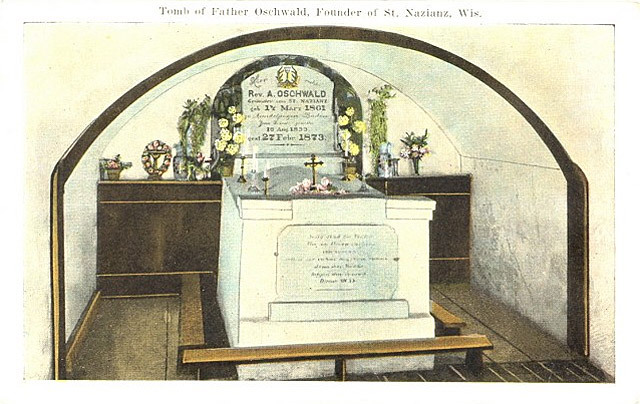 Oshwald’s tomb had not yet been complete, so his coffin was placed on view in a crypt beneath the high alter of the old St. Ambrose church. The coffin was reopened on April 29th for examination before it was to be placed in the completed chamber. A priest by the name of Father Mutz, along with a group called the Oschwald Sisters, noted that his body had not decayed, and there was no odor of corruption. Oshwald’s eyes had sunken in, but his skin had a lifelike complexion, his hair and fingernails were growing. They washed his face and noted that it served to give him an even more natural complexion. The next day, 63 days after his death, Oschwald was finally sealed in his coffin and moved into the completed burial vault. 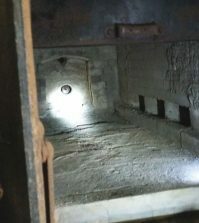 The coffin was opened again on October 4th, 1926, when it was being moved into a new stone mausoleum below Lorreto Hill. Local health officer Dr. L.W. Gregory, as well as many other members of the clergy, observed through a glass cover that Oschwald’s corpse was still in remarkably good shape after 53 years. His skin had become shriveled and sallow, but his body and vestments were still very much intact. The iron on his coffin and rusted and fallen away long ago. The Salvatorian Priests & Brothers arrived at St. Nazianz in 1896 to continue what Oschwald had started. Oschwald remains in the mausoleum at the base of the hill, overlooking a cemetery full of priests. Legends of a “Catholic mystic cult” whose “secret practices” drove them from their home in Germany to found St. Nazianz still persist today. The old Salvatorian Seminary, now known as JFK Prep, is a huge abandoned building rumored to be haunted by the tortured souls of kids who suffered at the hands of abusive nuns. I taught there and was there when the school was closed. I lived above the laundry my first year and in the basement my second year. Yes some strange things happened but these were good spirits. Have been there a few times since it was abandoned and made into a thrift store. There is clearly *something* going on there; i’d wager something besides ghosts and thrifting. The staff seem a little too edgy and protective. The couple who purchased it came from Door County if i remember correctly. (Door County: where farmers contaminated the land with arsenic supposedly to protect the fruit crops. I avoid Door County produce. You probably should, too.) The couple also opperated a small church in Manitowoc near Holy Family Hospital a few years ago. Not sure if they still do. In my Book christianity and poverty don’t share an inheritance with anyone wealthy enough to buy JFK. But who am i to judge. I avoid it and them to keep my name off the hit list. I heard it was abandoned due to asbestose. Probably a good reason not to snoop around. However! JFK Prep is awe inspiring, very spooky and beautiful and sad. It feels like a gothic romance novel. It would be an amazing place for a wedding. I attended the Salvatorian Seminary from which I graduated high school in 1965 (it was then only a minor seminary, the major seminary college had closed). The references to Father Ambrose Oschwald as a ‘rogue priest’ are not entirely accurate and his history is not that simple. Please review the Wikipedia page for him at en.wikipedia.org/wiki/Ambrose_Oschwald and, especially read the pdf from “References 3”: http://www.huberttreiber.de/Downloads/Treiber_Oschwald-St._Nazianz.pdf on that page. This is a very scholarly work about Father Oschwald and his troubles with the civil and church authorities of Germany at the time. Also, there some old newpaper articles on the web that confuse Father Oschwald with the Salvatorian order. The Salvatorian order took over the location that became the Salvatorian Seminary after he died. Did you know Tom Doro? Back in the 60’s we had a cottage at a nearby lake. Would spend the summers there. My ancestors owned the tavern dance hall and 1/2 side of the lake land. Not only did we attend St Gregory’s church but my great and great great grandfather and grandmother along with great aunts and uncles are buried in the cemetary. I more than likely was told of these stories when I was a child. My great grand parents were part of the original immigrants who came to St. Nazianz. They married there and had one child there and in about 1855 they moved west to southwestern Minnesota where their family was completed ( which included my grandfather). There are still remnants of the Schwengle family in that part of Minn.. It is my plan to travel to St. Nazianz this fall to sort of go full circle for the family. My amendment: Alois Schwengle married Theresa Schmaz 16jan1860 at St. Nazianz. I attended the salvatorian seminary from the fall of 1964 thru the spring of 1967. Very good school but did not feel that I wanted to continue the path to the priesthood, so I did not return for my senior year. I attended JFK Prep in 1979. It was a very interesting place. It didn’t close until 1982. I hope it can be restored. Man, Pete! Where did you find this article…fascinating! I was a seminary student at St. Nazianz in 1962-63. There were several of us sent there from the Flint, Michigan area, as well as from other areas in Michigan. We were sent there specifically to become more proficient in Latin, as Mass was still said in Latin. We had fellow students from states as far away as New Jersey . We were housed in a separate building which was set up with a classroom and dorms. We had Latin classes morning and afternoon. Because of the age differences we had very little, if any, contact with the high school seminary students. As far as I know only one of our Michigan students became a priest. The majority of us dropped out after the second year. Ken, hello. I just wanted to add that in 1965 (summer of) i attended a summer stay at the seminary. It was for students interested in the priesthood or brotherhood. My contact was with Father Middlecamp at St. Nazianz. I did enter for a short time an Irish order but only took temporary vows. I was from the Twin Cities Minnesota. I am very curious about this because I am doing a presentation on St. Nazianz and Fr. Oschwald for a family genealogy event. I was just there on 10/29/16. 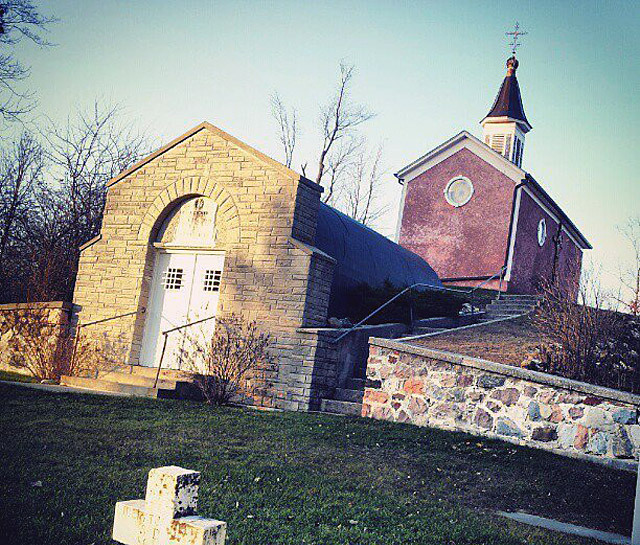 The doors to the crypt are unlocked as well as the chapel on the hill above it. I was surprised to learn about the rumors about haunting. I was kind of creeped out being in there though. A thrift store is open on the grounds. Other than that it is deserted. We were asked if we wanted to see the inside of the large church on site but didn’t have the time. We will the next time we go to the monks bake sale at the Holy Resurrection Monastery in St. Nazians. I just happen to be searching for info on St. Nazianz, Wisconsin and came across this website only to be kinda freaked out due to the fact I will be living there starting in June 2016. I believe in the paranormal but sure hope this town doesn’t mess with me or my family! I grew up near this little town. In the early 80s. I’ve been in every building and in the tunnels underneath they go from building to building. There is a bomb shelter in the middle of the courtyard you can’t even tell it’s even there. There was a youth center there and the brothers couldn’t watch us all. I’ve had the sh.. scared out of me there , ever been in a tunnel without any light but a candle on a property that is supposed to be haunted. We heard something and someone blew out our candle out and we ran like he.. and there is no wind down there! ! I never went back down there again. I am very sensitive to the paranormal and I grew up in St. Nazianz. I promise you, it’s no more haunted than any other place in the country. Weird stuff happens sometimes, sure, but if you buy into everything, you’ll just scare yourself into being miserable. St. Nazianz is a beautiful little village and it was a wonderful place to grow up. Would like to walk around Lake Ochwald. I was there in fall of 2014, but it is stated as private property. My dad took me around there a few times when I was a kid. I would love to take my family on that same walk now. Who owns the land around Lake Oshwald? Is the property able to be toured? I was told it’s not and that if caught there you can be arrested. My sister and I would love to tour the place. Can someone tell me if it is. Thanks. You have to get permission from the owners and it’s only of the grounds. You can’t go inside any buildings. I was offered the key to the church just for asking to see the inside of it. Ask someone at the thrift store for a chance to see the inside. It is true. I live 10 minutes away from Saint nazianz and I have all my life. If you get caught out there the cops will arrest you. Mostly do it all the vandalism over the years that has happened there. So now it’s restricted. Mr. Slovak, I don’t know if you will see this post. I’m praying for you. I personally know Jim and Linda from shopping at their thrift store in Two Rivers. They were very charitable to my family. I no longer reside there permanently but this story brought tears to my eyes. As with so many other institutions doing the work of helping souls for the love of Christ, this one fell victim to Vatican II and the fake new religion. Please keep the buildings as close to the originals as possible. It would be so salutary if someone would devote time to writing a detailed history for posterity. I feel much like that priest who came to visit and cried. People don’t really understand what has been lost. Linda told me about the property and once said to me, “We want to take this property back for Christ.” I shall pray unceasingly that through the intercession of the Immaculate Heart of Mary, this will be truly accomplished. May she dry the tears of those who love her Divine Son, in travail because of the eclipse of His Church, and make all those her true children who earnestly work to preserve the remains of the beloved times of true faith, hope and charity. Thank you. Long live Christ the King! A couple weeks ago my Wife two sister’s and i drove up from chicago we first visited witch’s road about two hours west. We heard about the two places after searching Google for haunted places after debunking witches road and finding out the truth from the current land owner (yes its a hoax )we thought for sure so was St Nazianz we arrived kind of later then planned and it was dark already after walking around the grounds me and my younger sister decided to go in my wife and older sister refused to go in we planned to stay in there for a while I wasn’t scared going in at all im a father of four children ages ranging from 1-14 years of age im from Chicago and dont scare easy but we only lasted 10 min if that something happened in there i choose to keep to my self. I’ll just say this we were having fun so we didn’t scare our selves everything was fine until that moment we knew this was real. Can I ask how you got into the place? Me and my buddy visited a few weeks ago but couldn’t get in. I experienced something ive never thought would occur. I since then have never messed with the dead since. Would you be able to tell me what happened? Went there as teenagers too, never knew the original story,..spent our nights spooking the gals, and hunting the ever allusive catacombs. But it was a beautiful place..shame for it to be left empty. This is really fascinating. How sad it is to see the place decaying like that. The church is certainly beautiful. I’ll bet that dabbling in old Odinic black magic is what got Fr. Oschwald kicked out of Germany. My husband, who has some familiarity with Norse paganism, believes that to be so based on what went on with the white cow and the racket at the time of Fr. Oschwald’s death. I went to school there! I lived in saint Nazianz until 30+ years! You people are demented! Prep was a beautiful school! It was not haunted! Father Oswald was a Christian that just wanted to live a Christian life! Our school was a unusual school. We the students built a Eco house. It was energy efficient home which used solar and wind power. It had an observatory and a fireplace. We also had to do community service every month and had a beautiful theatre which we had to be in a play a month. We grew our own food. Did our own dishes! We made maple syrup in the spring sold homemade pizzAs for a toe trip to Nassau. Traced the ice age trail in Wisconsin and tested for water equality in our lakes and rivers. I remember going there one year (2002, 2003, or 2004, I think) and the chapel was used as a haunted house. We originally were led into a room and told the normal haunted house rules and then told to not go in the areas that weren’t part of the path. We didn’t have anyone leading us and in between it was completely dark, so at one point we did get in an area we weren’t supposed to getting lost, luckily coming across a worker that got us right back on the path to get out. We spent a lot of time out there at night in our late teens and early 20s. This was before Vandals desecrated the place. Freaking idiots. It was, and I’m sure still is very beautiful grounds. 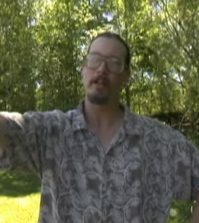 I have very real and truthful stories about that place and things we have all seen and heard. My stories are verified by the others who were along at the time. One of them has something to do with the inside of the tomb in the graveyard on a full moon on a fall night. No joke. That place will make your hair stand up on the back of your neck at night and make you weak in the knees. i believe its possesed. One thing I’ve always thought strange about that old graveyard is there are priest buried from all over the world. i’m sure there is some kind of explanation for this but they seemed like freshly dug graves and if I remember right, fairly recent deaths. This was in the mid 90’s. I grew up in Saint Naizianz myself and had the joy of walking the grounds of the JFK many times. I thought it was a beautiful place. Thought it was sad how the vandalism would show up from people! Let me know when your coming I will have a grand reception for you. The St Nazianz Christian Center (aka JFK Prep Salvatorian seminary) is open daily from Dawn to Dusk; but from Dusk to Dawn it is a private resident. We live here, we are here 365 days a year. I would enjoy the tour! Do you give tours ? I was there today for the thrift shop, i walked around a little bit , but with a guide it would been more enjoyable. That placeis amazing. Please let me know if you offer tours. Do you own the place? I’d love to visit, but I rather not get arrested for trespassing, I much rather have permission. Would like to take a tour this weekend if possible. I would love too take a tour im from Chicago and love the history ..
Do you still live there? I am trying to get ahold of the owner to ask about a opportunity to help in rebuilding and restoring the place to its original standing. And still have it seen by others as it once was. I was wondering if you could help me to get in contact with him please let me know. How do I contact the owner for a tour? I was a student at JFK Prep. Is it possible to set up a tour? I loved running in the morning and ending in the pine forest. Please contact me at cndcjenk@gmail.com. All very interesting. I went to HS there 1970 – 1974. Was a little creepy for a city boy, perfect setting for scary stories, We used to venture up to the tomb with new students at the beginning of the year to scare them and have fun. I never saw anything, though some of the women at the girlsa dorm made some claims I cannot remember. It was a great place to go to HS though, and I have MANY fond memories and met some great people and familes there. The things I have seen, I will never venture back into that property at night, I will never go alone, again. My ancestors were part of the founders of St. Nazianz. Should I be worried? Oh and by the way some of them eventually moved to West Bend! As far as I know, no nuns ever taught at the Seminary, and definitely not at JFK Prep, only Priests, Salvatorian Brothers, and lay people. Nuns did teach there. In the village was a catholic high school named St Gregory HS. The seminary shared some of its faculty between the two schools. I attended St Gregory’s 1966 – 1969 when it closed and that is when the seminary which had 3 yrs earlier become JFK Prep., went coed to absorb the students from the. Losing high school. Hi Kate! Patty Platten here…I have fond memories of JFK Prep and you, I spent my Senior year at Valders because my brother Pete was already enrolled at the prep…it wasn’t free, lol! I think there was one nun on the staff when I was there in 1970-1974; she was a math teacher. Great article Charlie. Been there many times. I used to “party” out there. We would sneak in at night and find our way through the school and work our way to through to the top of the building. There wasn’t a single building out there that wasn’t falling apart inside or out. The school at night lit by our flashlights looked like something you would see in a post apocalyptic movie. There were still books and papers lying all over the classrooms. Creepiest thing about it was a friend had “borrowed” a book and two small statues from the site. A couple days later him and sone friends got into a horrible car accident where two friends were killed. Coincidence maybe but still creepy to think that maybe a curse had fallen upon him. So you guys were doing the Vandalism!! KARMA will get you! ???????????????? 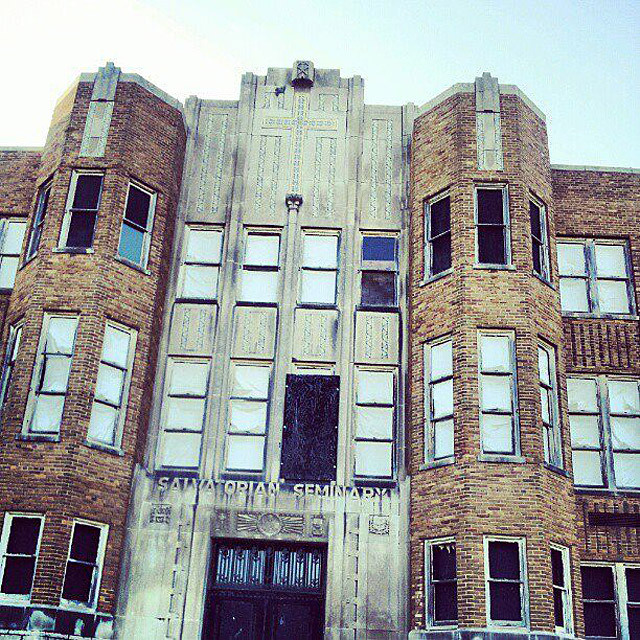 The actual JFK Prep building is abandoned, though. No. The gym I’d on the back of the building.